Ms. Clarke is one of the founders of Raleigh Family Practice and has been with the practice since 1998. She is a California native and had the pleasure of growing up on the Stanford University Campus. Her father was Dean of Student Affairs for over 2 decades and still lives near the campus. Her mother was a registered nurse for 50 years. She went to Pacific University in Stockton, California, where she received her B.A. degree. She graduated from the Stanford University School of Medicine Physician Assistant Program. 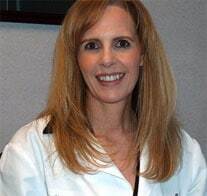 She is board certified in primary care and has been since 1990. She is experienced in family medicine, gynecology, diabetes, migraine headache management, mole removals, laceration repair, and laser services. She is a member of Grace Community Church. She has 2 children. Her daughter is in Physician Assistant School; her son is an Eagle Scout and attends East Carolina University, where he is studying engineering and is on the drumline. Ms. Clarke is an avid fan of the San Francisco 49ers and the Giants. She enjoys crocheting, quilting, gardening, and working on her house with power tools.